Today’s vlog is the first of three parts that I will be releasing this week of a 7 part course on Traditional Chinese Medicine Five Phase Theory, specifically the wood element. I will be offering week one of this five week course course here for free on Yoga Lifestyle with Melissa on my vlog today, as well as Wednesday and on Friday on my main channel. So if you would like to get part 2 and 3 of this course for free, be sure to subscribe to this channel, Yoga Lifestyle with Melissa and my main channel Yoga with Melissa to get part 2 and 3 on Wednesday and Friday. I will let you know how you can access weeks 2- 5 at the end of this video with links in the show notes. One of the key components of the course is a daily walk in nature to connect more deeply with the wood element. Book learning and theory only go so far, it is our actual experience of the elements that bring them alive for us in our lives and give them their potency. Today we are going to connect with the wood element through the spirit medicine of trees. Trees can provide us with guidance, lessons, protection, and wisdom. 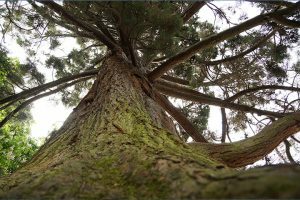 Certain trees will connect with us at certain times of our lives depending on what we need to learn and in order to help us bring balance into our lives. The first trees I feel drawn to connecting with and sharing with you today are Garry Oak trees. There is a beautiful Garry Oak meadow in Beacon Hill Park. Old growth trees are another spirit tree medicine I am connecting with. For me, the connection with old growth trees remind me to stay for awhile and have patience. In our culture we are encouraged to live at an aggressive pace, to always be achieving and moving on to the next things. 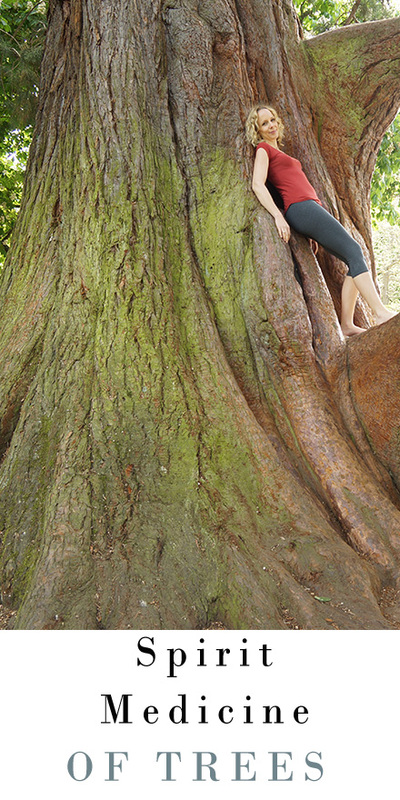 The old growth trees remind me of the principle of yin, to stay for awhile, that time is more important than intensity. It is over time that insights arise and inspiration is revealed. For the old growth tree, today I am going to share with you a Sequoia tree that was planted in Beacon Hill park in 1913, that makes it 105 years old. Apparently this tree could still be here in 5511. Talk about staying power. Another spirit tree medicine I am currently connecting with quite often on my daily immersion and walks in nature is driftwood. Driftwood is often quite soft because it has been weathered by water. We are going to be talking about the moderating effects of water (as well as metal and earth on wood in week 4 of the course). The moderating influence of water is often calming. When I connect with driftwood feel invited to allow the events of life which are weathering me to soften me. It is one of the main principle of yin yoga, soften. Wood is the most yang of all the elements. Wood is the birth and new beginnings of spring which seeks growth and expansion. Wood is the awakening. It is the expansion of movement outward towards the surface. It is the liver organ network which stores blood and regulates the even flow of qi throughout our body.